Miss City Weekly Pride Pageant, Ogden 25th Street Car Show, Jay Owenhouse and more. As a recent wedding in the U.K. proved, Americans continue to be fascinated by royalty. Of course, there's a very different kind of majesty and glamour involved in the world of drag queens, but there's still a special something required to be worthy of a crown. For the ninth year, Salt Lake City Weekly kicks off Utah Pride events with the Miss City Weekly Pride Pageant, crowning one of the state's finest performers. Nine finalists are set to put their best foot, gown and attitude forward, hoping to take the title: Aphrodeity, Cooper, Jafabulous, Marrlo Suzzanne, Rose, Edgar Alexa, Eva Chanel Stevens, Delta Rae Dixon and Andromeda Corinthia. 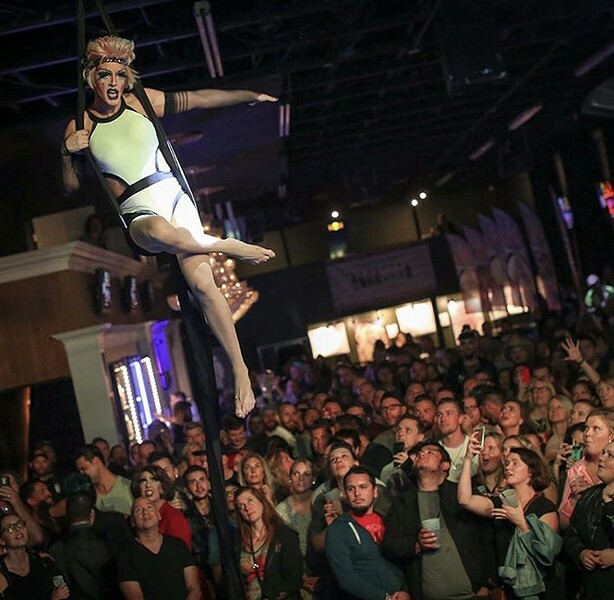 They hope to follow in the tradition of 2017's reigning champion Roary Hollace, who believes the key to winning last year was an aerial silks performance in full drag. "I think I really went over the top with my talent performance," Hollace says. 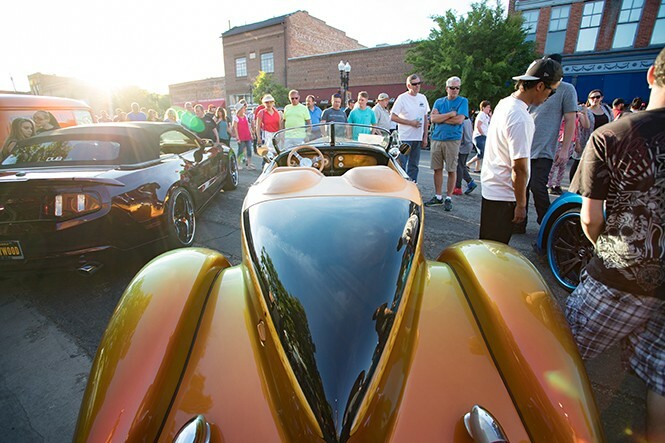 The Ogden automobile community fills 25th Street with their vintage Model Ts, lovingly preserved Volkswagens and restored Corvettes during the Historic 25th Street Car Show. And, in addition to the community outpouring, the Union Station's Browning-Kimball Classic Car Museum is joining the fun for the first time in the event's 16-year history. They're displaying part of their collection on the plaza at the west end of 25th Street. The show attracts more than 300 vehicles every year, with a few dozen winners chosen by various Ogden business owners, officials and event sponsors. Kim Bowsher, executive director of Ogden Downtown Alliance, says the show is not only a fun way to meet and connect with people, but also to showcase the city. "Our show is a great way to introduce people to who and what Ogden is," Bowsher says. "Some people still have a negative opinion of the city. But Ogden has grown up." The evening isn't just for car lovers. Visitors can participate in Ogden's monthly Art Stroll, happening concurrently from6-9 p.m.while listening to live music from Tony Holiday and the Velvetones. Shops and restaurants on the historic street extend their hours to meet the crowds, while food vendors line the streets. The evening's proceeds benefit the Lantern House, a local homeless shelter and soup kitchen, as well as providing funds to other community events in downtown Ogden. Part Harry Houdini, part Doug Henning and part Siegfried & Roy—with enough immediate family involved to overtake the Osmonds—escape artist, illusionist, animal tamer and master musician Jay Owenhouse has built an impressive enterprise through his feats of skill and appealing presentation. 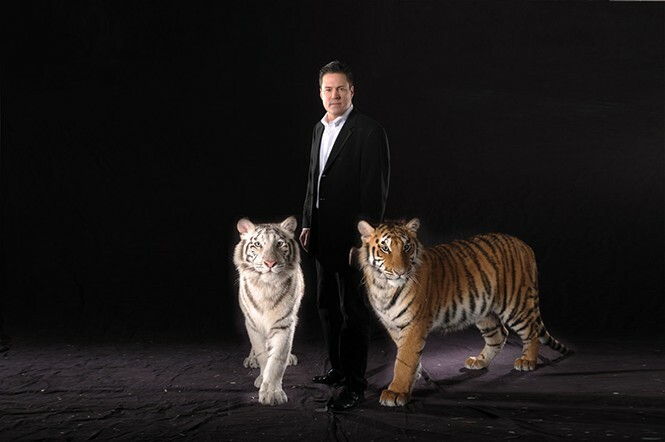 Having gained fame over the airwaves after starring on the Fox network series Masters of Illusions and being profiled on a TV special Magic on the Edge, his performance went on to be voted "Best Family Touring Show in Asia." However, after witnessing his feats of skill and suspense, American fans appear to share a similar sentiment. Like many kids, Owenhouse acquired his interest in magic early on, performing his first magic show for his third-grade class. Majoring in psychology in college apparently gave him insight into how much the human mind can accept, understand and be duped, allowing Owenhouse to turn his fascination with fantasy into a full-time occupation. Give him credit: The hardest trick of all is turning a hobby into a big stack of cash. On June 19, 1865, news of the Civil War's end finally reached Galveston, Texas, brought by Union soldiers whose words meant that slavery was no longer legally protected and all African people being kept as slaves in the U.S. were free. This date marked a step toward a more truthful version of a declaration that "all men are created equal" in a country built by and on the backs of slaves. These newly freed men and women celebrated the change, naming the celebration after a contraction formed from the date itself. Juneteenth remains a major celebration in Texas and has also spread throughout the country. 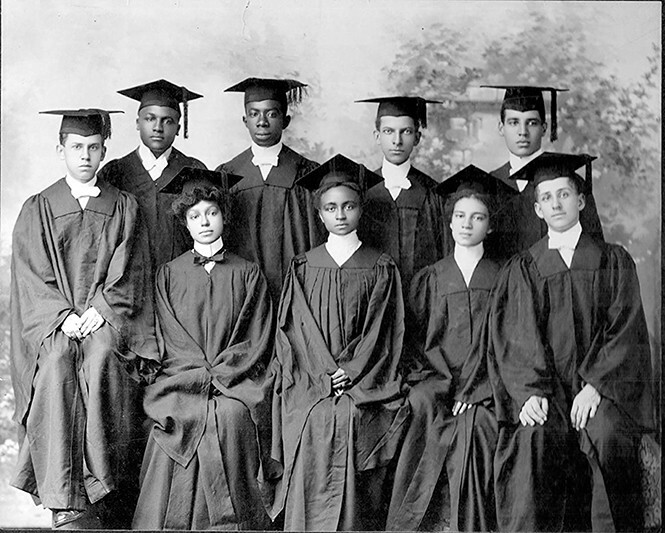 In Utah, the tradition of Juneteenth is celebrated on the third Saturday of every June. "The Juneteenth Festival brings communities together from all walks of life to honor our past, celebrate the richness of African and African American arts and culture, and embrace our future." said Betty Sawyer, director of Juneteenth Festival's organizer Project Success and Weber State University Community Involvement coordinator, in a news release.